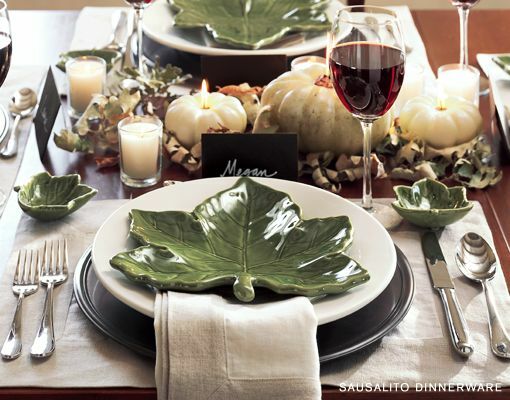 Collect small plates and accessories that compliment your everyday tableware to create unique table settings. 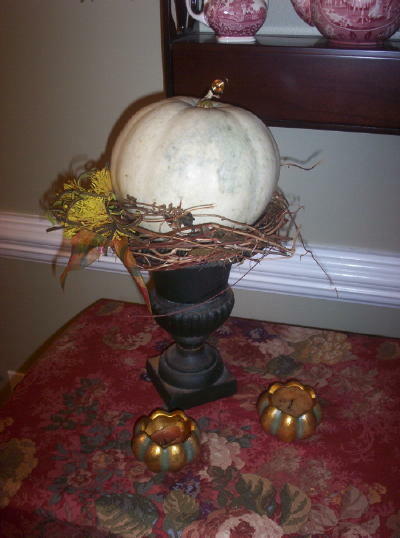 Miniature guords, pumpkins and grapevine can be combined for an inexpensive centerpiece. Placemats and napkins can be made from basic linen. Can't sew? 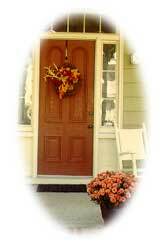 Fray the edges for an even more rustic look. 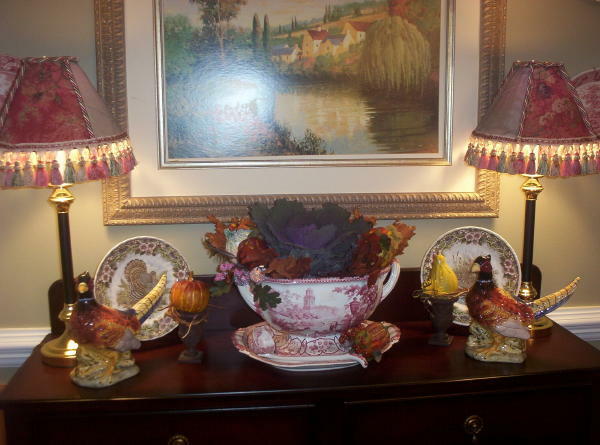 By adding ornamental pumpkins, wheat, preserved fall flowers and beaded pumpkins and guords, I was able to turn my antique soup tureen into a beautiful centerpiece for my buffet. The Fall themed plates were gathered here and there, and the ceramic pheasants were finds at a local pottery. This unusual white "casper" guord is simply placed upon a metal urn, and surrounded with honeysuckle vine and silk flowers.